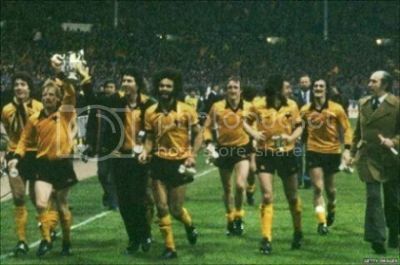 THE WOLF • View topic - Old Pictures of " MOLINEUX "
Post subject: Re: Old Pictures of " MOLINEUX "
When are those three from, WF? Not sure Sel? I got them from Pinterest (it's a phone app). I'm guessing late 80's early 90's (1991). When did the work on the Billy Wright (Waterloo Road) Stand begin? When was the Asda built? You can see it in the distance. We'll have to wait for warn to view it. He'll also know the opposition and who the No 8 is, no doubt. I'll guess 1990, Swindon and the No 8 is Paul Cook. Barnsley could possibly be the opponents but the white flashes near the shoulder are puzzling me a I don't see any kit like that on the historical kit site. What do you think...or is life too short? How many sides to the ground were open back then? The crowd looks too many for a game against Swindon or Barnsley and I don't recall Paul Cook looking so Mike Bailey ish, chunky. Cook was No 8 from 1990-93, Gooding was No 8 1989-90 and Thomas was No 8 93-94. Other teams in red were Boro, Charlton and Bristol City but whoever it is wears red socks but it could be Boro in 1992 with white over the shoulders. Maybe Boro although there is a youtube clip of the 1992 match and it looks like a white stripe the length of the arms whereas the picture suggests a short flash around the arm. I'm fairly sure it's not Swindon between 1990 and 1992 as they wore red shorts on each of the 3 visits to Molineux (I found clips). I've wasted enough time now. SEL, using your historical kits, I'm almost certain it is Charlton. You should know, you have a Charlton scarf above your bed!!!!!!! The things you can do when you are enjoying retirement. Good shout anyway Mr Jarse. Is this a possible? Not the best directing for the goals though. That would discount the 1992/3 clip I put above but if you look at pictures 2 and 3 of Wolvesforever's post the right hand side of picture 2 and top left of picture 3 are roughly the same place in the corner of the North Bank. They don't look to me as if they are from the same time and I think they may be from different games. Just saying. H&S non existent in those days. 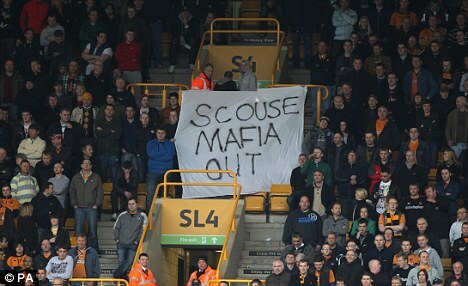 Is that at Coventry or Molineux?? If Coventry, I was at that game, 51,455 inside the ground, the crowd spilled over at the West End and I spent the entire game on the shale track behind the goal. Madness but magical memories of a lost era in football. You've reminded me of another reason to dislike Palarse as we lost to them in that string of final four games. "The strength of the Wolf is in the Pack." Will Molineux be as intimidating again? I loved the old ground, it will remain in my heart forever. I know exactly what you mean but it is a bit like looking at an old steam train in the breakers yard. I have wonderful memories but I wouldn't want to go back as it were. Yes it was at the end, but it was beautiful.. I agree, great memories from a great time in my life. Still, I like the modern Mol but the new stand is bizarre. Used to remember as a kid, waiting for them to open the gates nearing the end of the game and sneaking out of the South bank into the enclosure to sit down for the last 5 minutes. Didn`t always work. North Bank goal collapse against Norwich City, 1973/74. I remember that game, I was there, I think Kevin Keane the keeper pulled the goals down trying to save a header from the Doog. The game was stopped for ages. 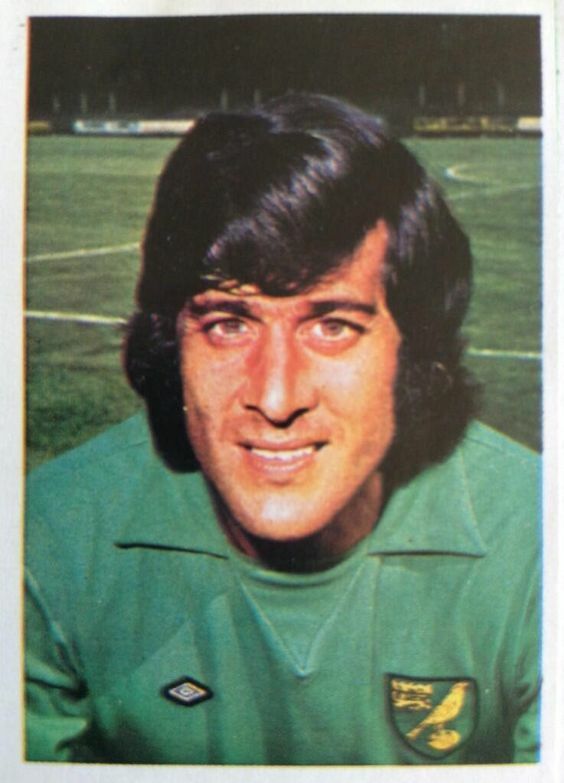 Actually Kevin Keelan. I don't know about football, he looks more like he should be in an episode of Dynasty, as he day get that tan on Cromer beach. He looks like Paul Nicholas, in Just Good Friends, if he'd resorted to crystal meth. I used to love sitting in there, and then that Scouse cnut had to ruin it.